Here's a super cute idea for a peacock party. Ok so this example from No Ordinary Cake is particularly spectacular and took a very long time to make. 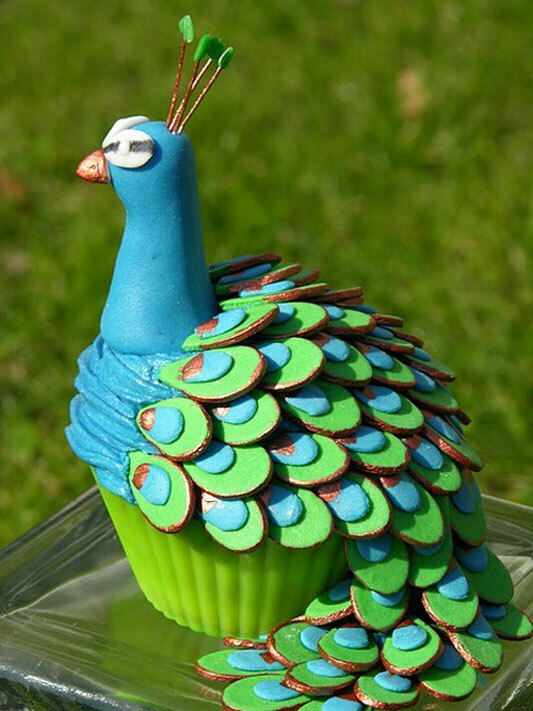 But you can still make sweet little peacock cupcakes that look great. 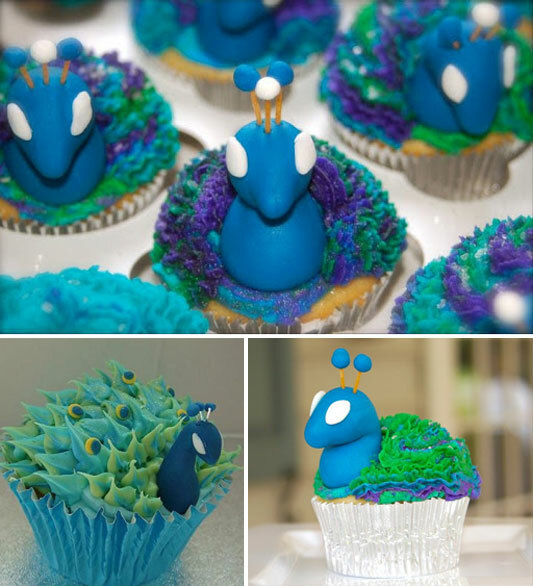 Pipe some bright blue and green buttercream using a star icing tip onto your cupcakes, then make the head and necks from blue fondant. Add a dot of white icing for the eyes to finish.